I have decided to start this series of sharing my makeup stash. 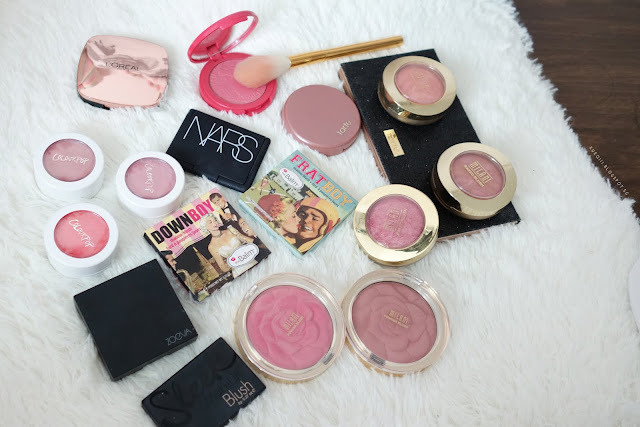 First off, are my blushes. 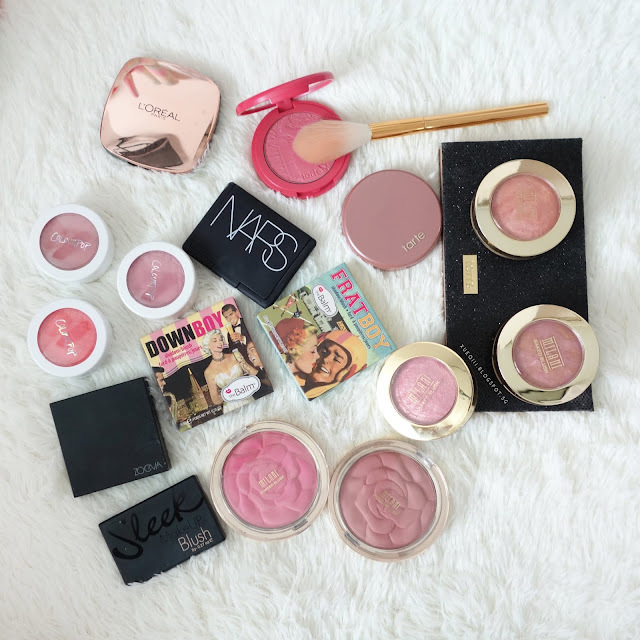 I guess.. this is a decent amount of blushes to own right? 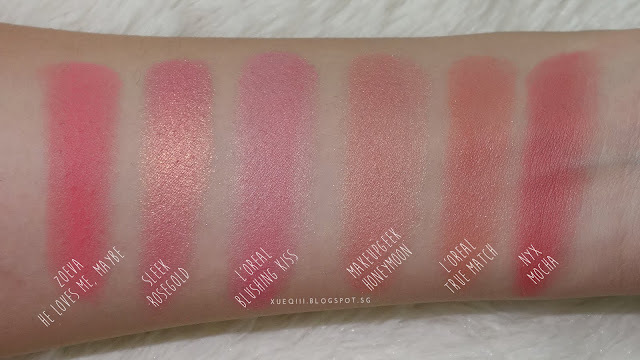 I still have a few blushes that I ordered after taking this photo, so I will update this post when I receive them later in the month. 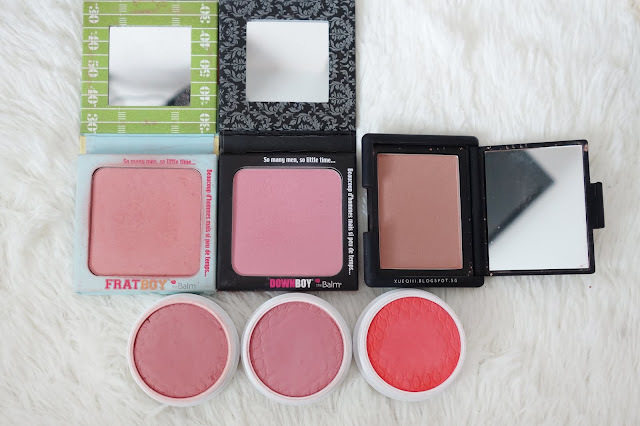 I ordered a few WetnWild blushes in their new formula and a CoverGirl TruBlend blush as well. 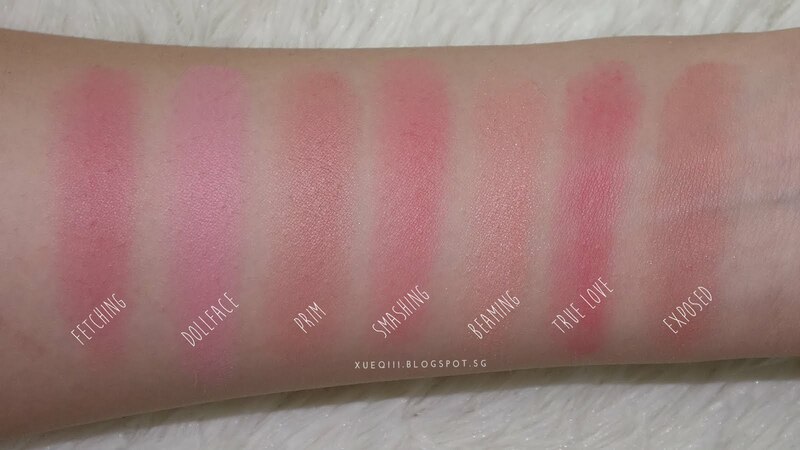 Basically all these blushes, I like and love. Those that I do not like I have already gotten rid of them. Let's start with some affordable options. 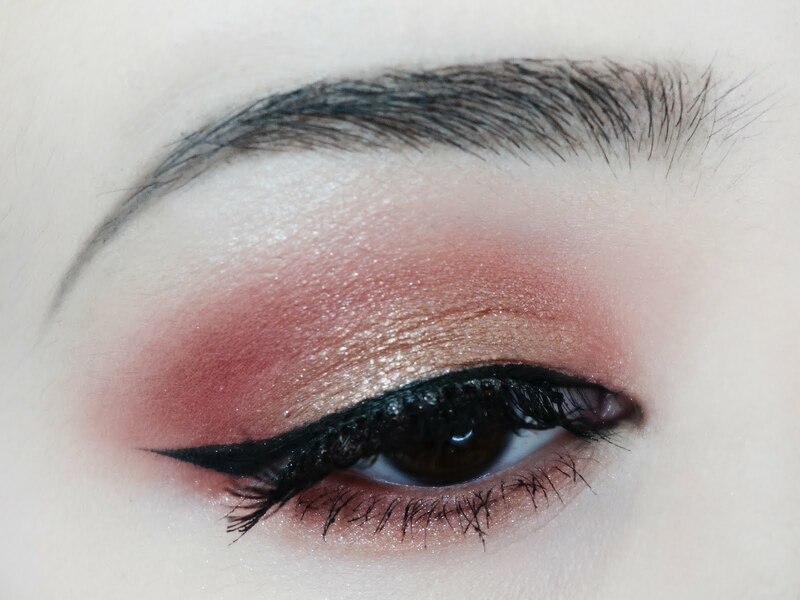 This is super pigmented. So I do need to have a light hand when applying. It is always a disaster so I get a bit scared and hence reaching for this a lot lesser. A stippling brush will be a good choice for a lighter touch. This is really shimmery but not chunky or glittery. Looks very glowy on the cheeks. 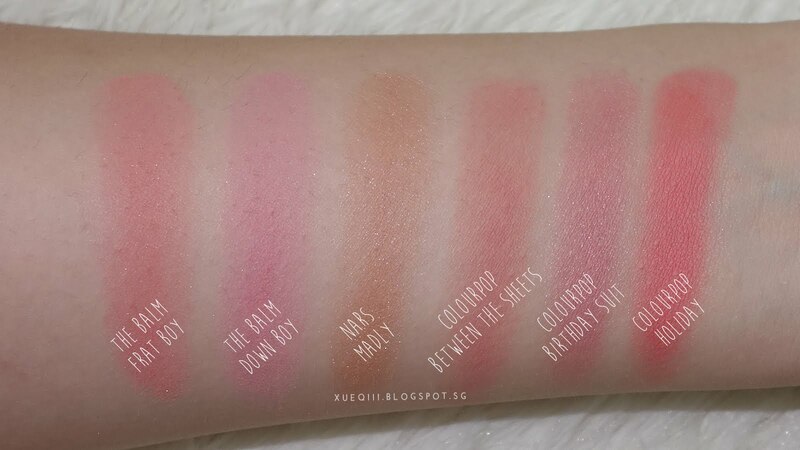 I quite enjoy this blush but I rarely reach for this now. I used to have this in my makeup bag that I carry around with me. It has a nice mirror and it is very compact. MUG makes really good eye shadows and blushes as well. I regret not getting the other shade - Spellbound. It looks so flattering. These blushes are super soft and easy to blend. Huge thumbs up. 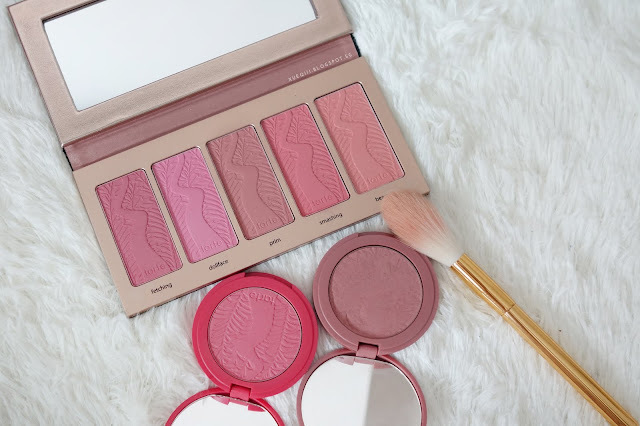 Like their True Match compact powders, the blushes are super blend-able as well. It lasts well too. Another very pigmented one. Formula wise I have nothing to complain about. 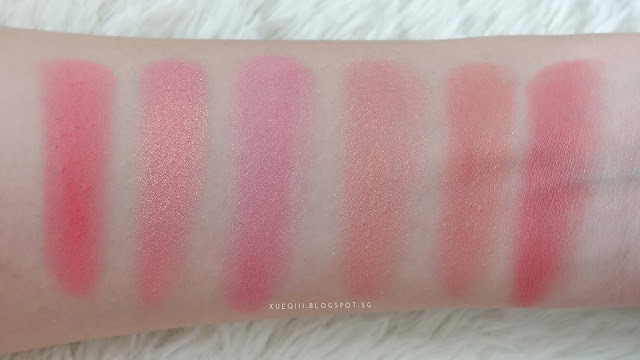 NYX makes great blushes at such cheap price. Just have a light hand with this one. 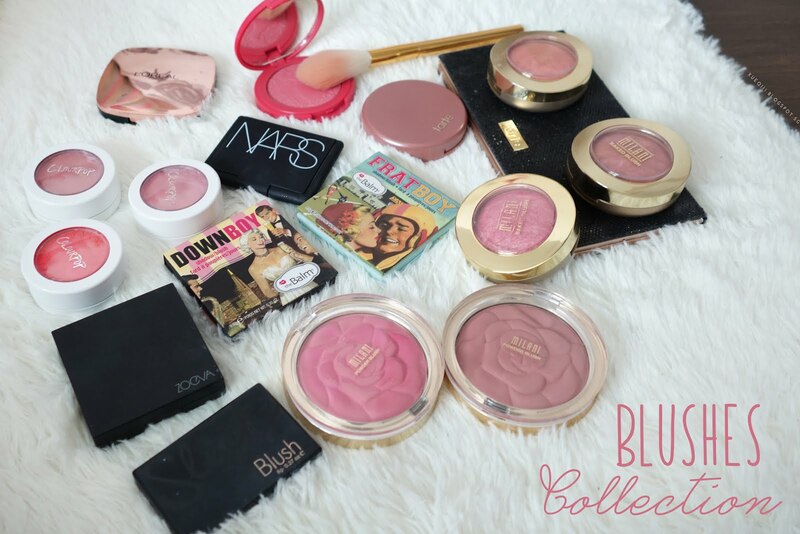 The Balm blushes are one of my favourite formulas. 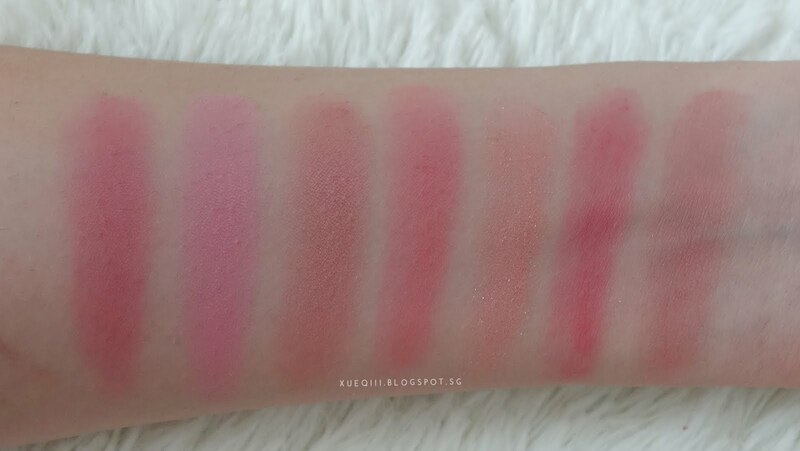 They are very easy to blend out even if I accidentally pick up too much product. They last long on my cheeks too. A new favourite. 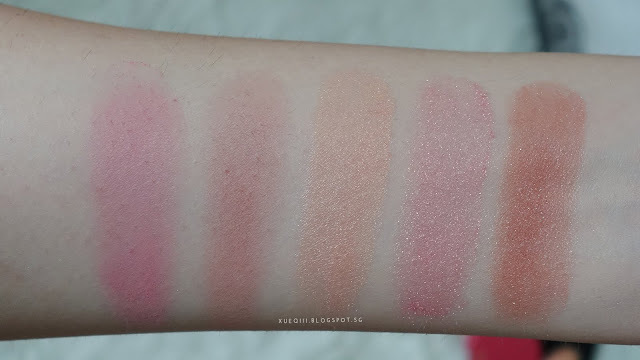 This swatches plain and normal but looks so flattering on the cheeks. 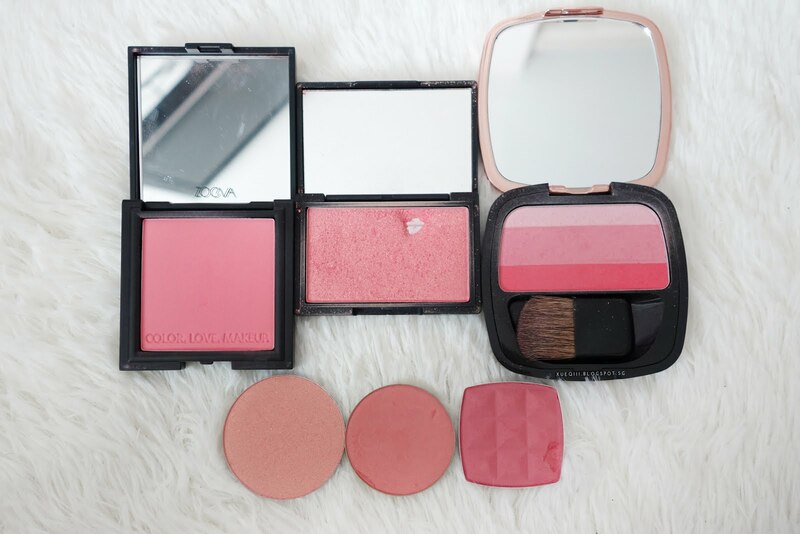 This is the blush that I gravitate towards when I want a natural glow. 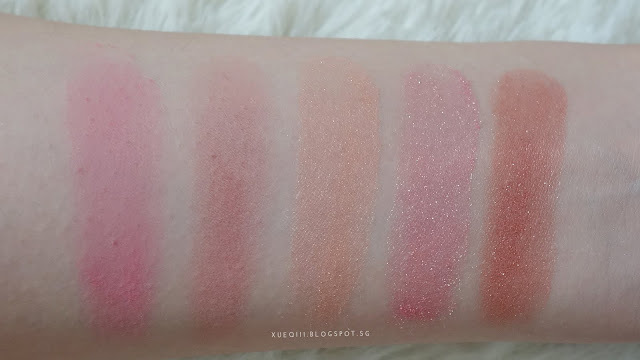 Colourpop blushes, like their eyeshadows, has a creamy texture. I like to use these with a round top synthetic blending brush. 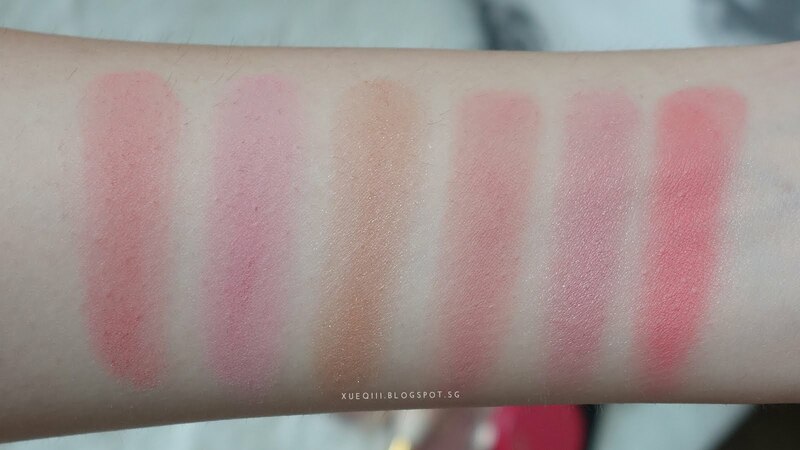 They blend beautifully and lasts pretty long too. 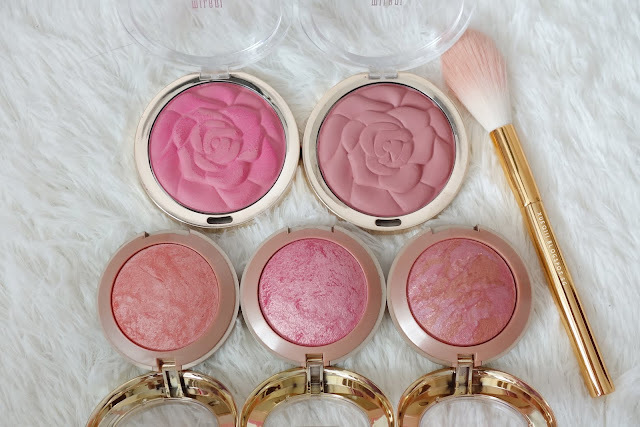 Milani blushes are one of the best in the drugstore, Highly recommend these if you are look for a drugstore option. 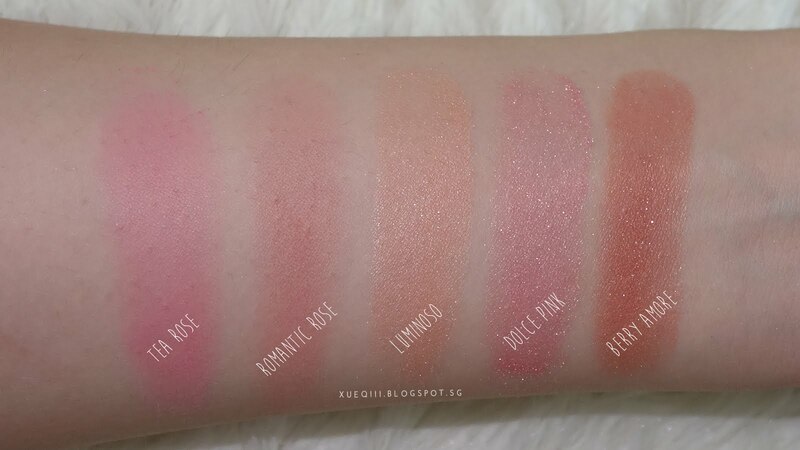 Baked blushes has a sheen to it and the Rose Powder ones are matte. The rose blushes has a funky smell, not sure if I got a bad one, but it's fine. The smell doesn't linger. Formula wise, it's not bad, easy to blend but can be slightly hard and dry. Lasting power is nice too. 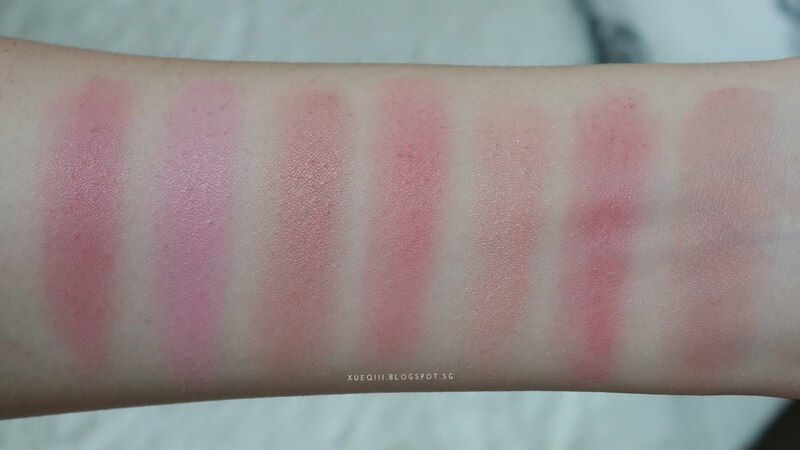 I really love Romantic Rose as a daily blush. It is a dupe for the Tarte Exposed. These baked blushes are very creamy and smooth and easy to blend out. I highly recommend all of them. 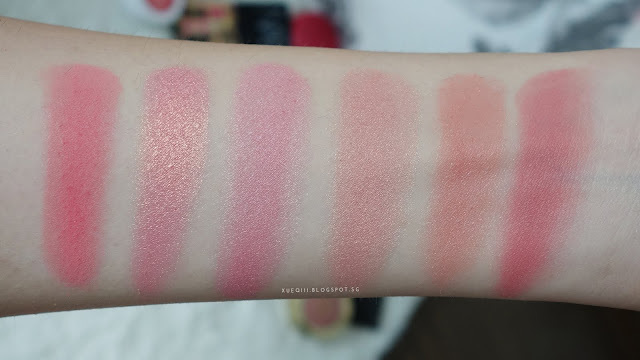 My favourite as of this moment is Berry Amore as it's new in my collection and it looks gorgeous! 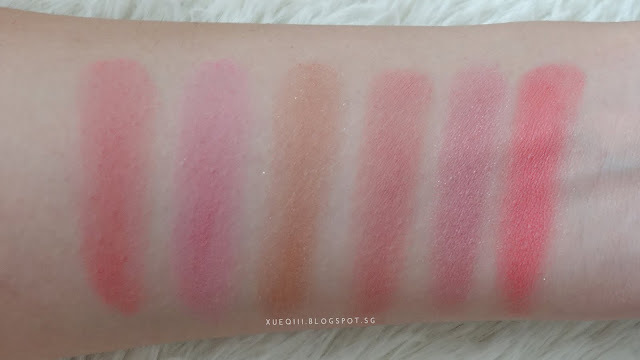 Luminoso is the one that I reach for on simple makeup days. 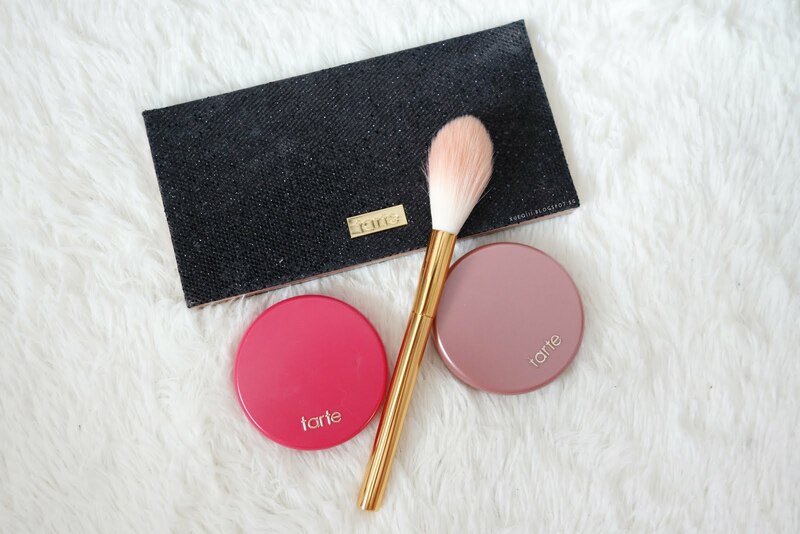 Tarte blushes are my favourite high end blushes so far. They are very long lasting, smooth to apply, and easy to blend. My favourite has got to be Exposed. I am 100% sure that I will hit pan on it. Prim is quite a similar shade though. What color is the Loreal True Match one? Hi Phan, I have lost the shade name and it is a very old product. Sorry I couldn't help. Makeup Geek's Honeymoon is very similar, with a little shimmer.